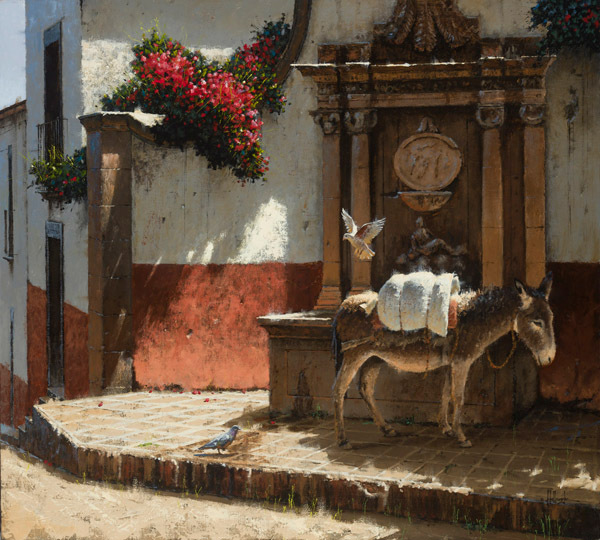 For generations the people of Mexico have considered the burro not only a beast of burden, but also in many cases a member of the family. Many times, a man and his companion would come into town with several items on the agenda. To allow the man a certain level of freedom, the donkey would be "parked" in a cool spot, usually close to water, for the duration of the afternoon. While the owners shopped, the burro would visit with others of his kind and stay in the shade, "la sombra". Mexico is truly a place of "Sol y Sombra"